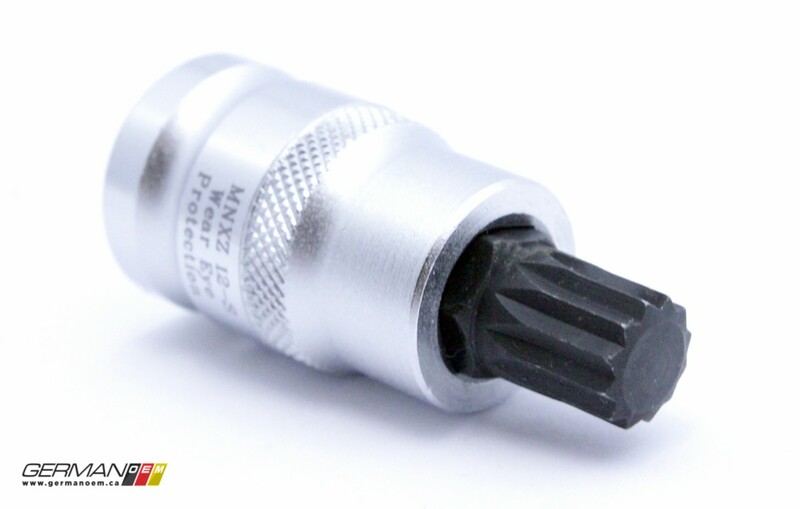 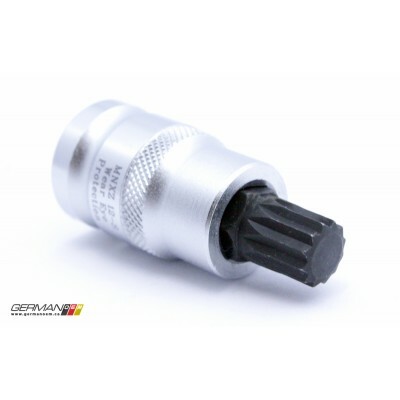 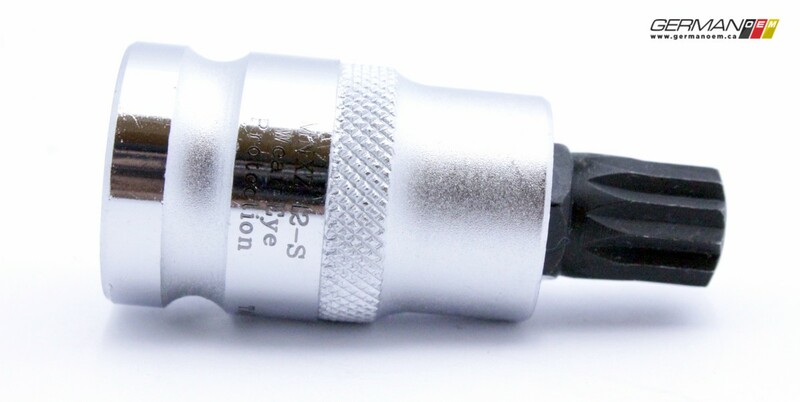 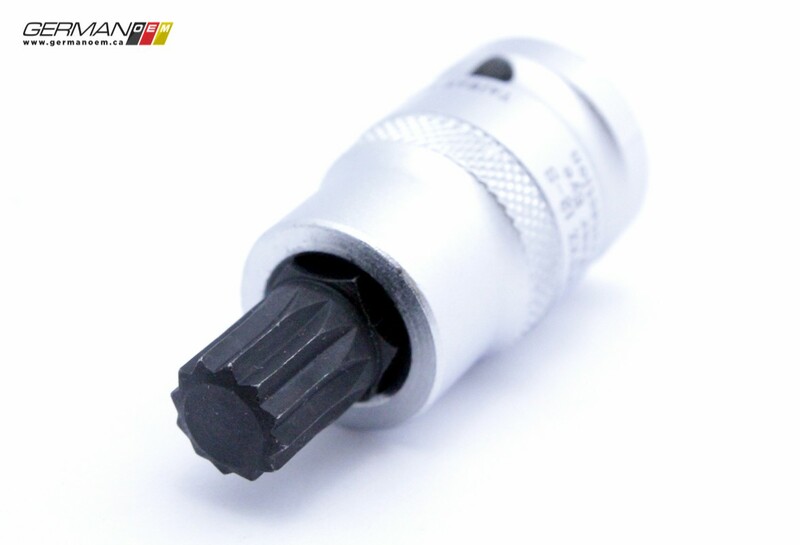 This 12mm bit features a ½” drive base and is 55mm long overall. 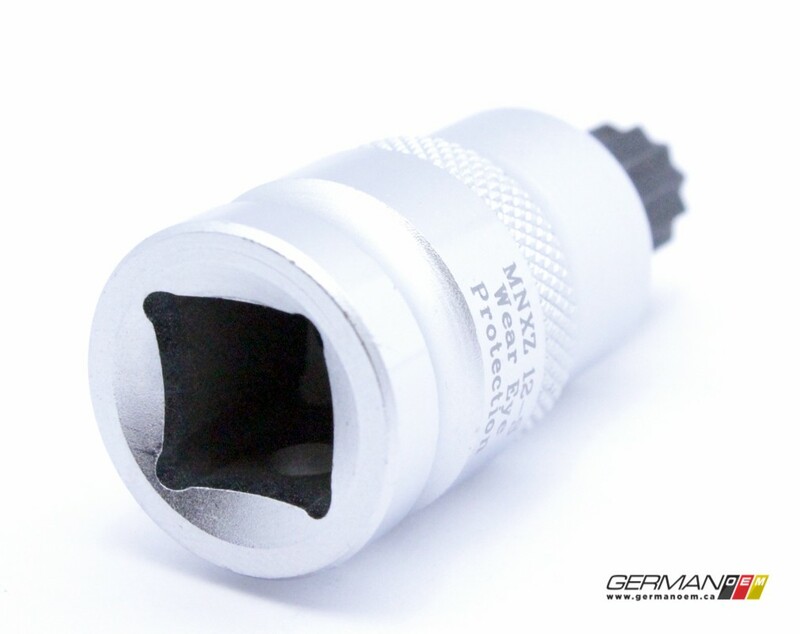 Made of S2 tool steel, this driver can be used for flywheel bolts, as well as steering wheel removal on the Mk4 chassis cars. 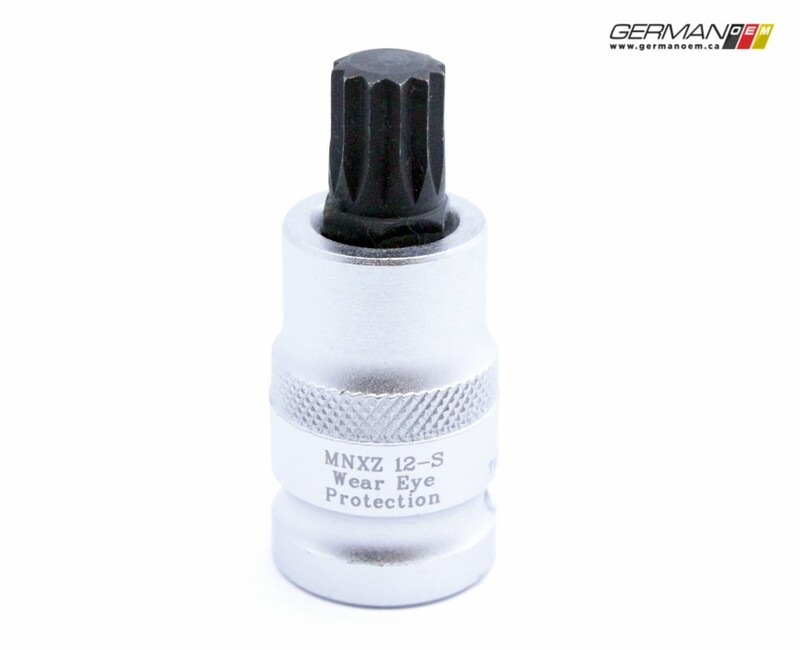 Not recommended for head bolts or inner CV flange bolts – for those we recommend the longer MNXZ12.